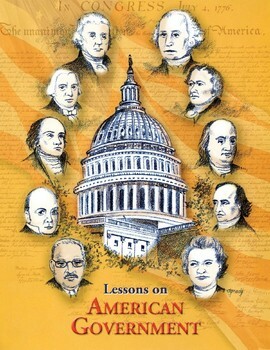 To review the major events of the civil rights movement of the 1940s, 1950s, and 1960s. 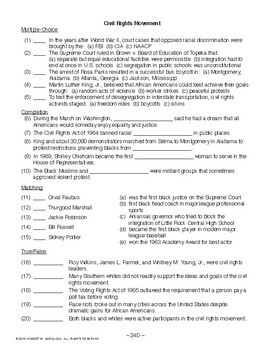 In this lesson, students read through a series of sentences about the civil rights movement. 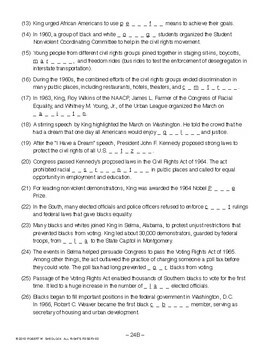 During the reading, students must complete the sentences by filling in missing key words, names, and terms. 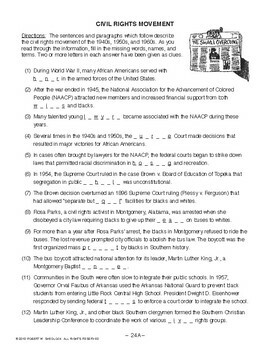 Two or more letters are given as clues for each answer. This lesson can also be used as a contest or game.